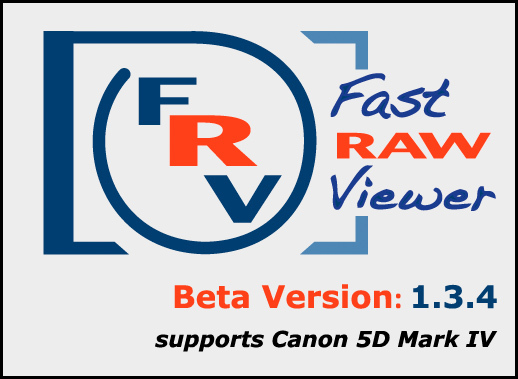 FastRawViewer 1.3.4 is a stable Beta version. Various sensors found in Android devices. Color transform is preliminary, based on a pre-production body. There are might be minor color differences between different pre-production bodies. 'Adobe hidden exposure correction' for this camera defaults to the value in Preferences - Exposure - Set hidden exposure correction to (if you have 'Apply Adobe hidden correction' checked). 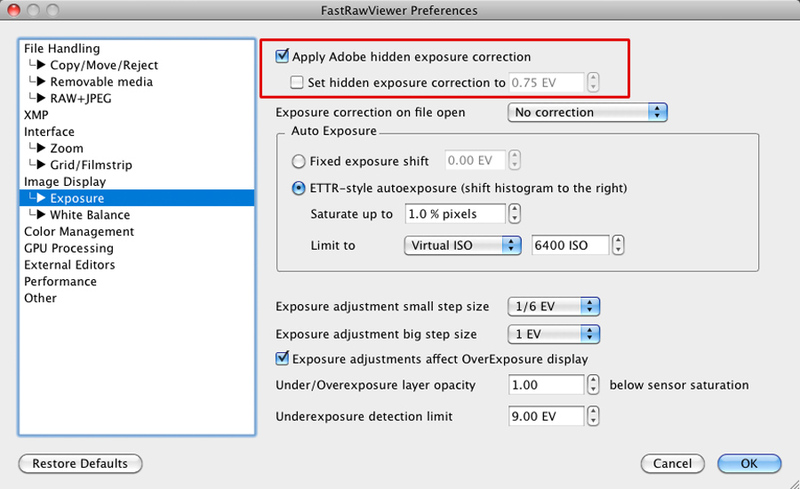 The value of the exposure correction in this setting is in effect for cameras that are not officially supported by Adobe even if the checkbox to the left of the field is unchecked. The standard setting in this field is 0.75 EV and the brightness of the RAW should be close to that of the embedded JPEG (toggle 'J' to compare). If you need to adjust the value, tick the box 'Set hidden exposure correction to' to make it active, adjust the value; un-check the box when finished. For Dual Pixel Raw the main frame is displayed. 2. FastRawViewer 1.3.4 Beta version provides more extensive debug logs.